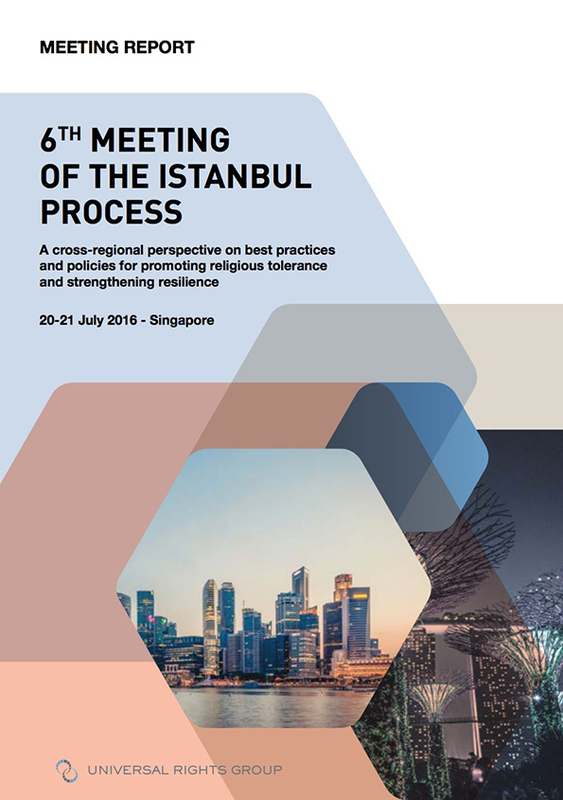 This was the first Istanbul Process meeting to be held in Southeast Asia, with a practitioner-centric focus. The workshop provided a platform for practitioners from a cross-regional group of countries, civil society and academics to share best practices, practical policies and lessons learnt in the promotion of religious tolerance and strengthening resilience in the spirit of Human Rights Council resolution 16/18. Participants included government officials, religious leaders, community leaders, academics, human rights NGOs, and civil society from Africa, Latin America, Europe, North America, and Asia. ‘Speaking out against intolerance, including advocacy of religious hatred that constitutes incitement to discrimination, hostility or violence,’ (also panel discussion II). A final ‘syndicated discussion’ in small groups on the second day provided a platform for discussing ‘future challenges, emerging trends, and ways forward’ on these themes. The session also included a community walk-about in Singapore’s heartlands, and a visit to an inter-faith Harmony Centre at the An-Nahdhah Mosque, allowing participants to witness practical efforts to foster inter-racial and inter-religious harmony and understanding in Singapore. This report seeks to summarise some of the key points made during each part of the meeting, and to collate some of the best practices shared in that context.